Looking to update your wardrobe on the cheap? Here is a great excuse to clean out your closet. Check out this AWESOME event at TechShop on Sunday or some of the other ways you can exchange you can upgrade your wardrobe on the cheap. This Sunday, June 29, 2014 – TechShop Pittsburgh is hosting an epic clothing swap and workshop event. This is a great deal too – $12 if you aren’t a TechShop Pittsburgh member and gets you access to the swap, to TechShop Pittsburgh (a day pass is usually $50) and a day of workshops on basic sewing, laser cutting, screen printing and other ways to upcycle your clothing. You can come for all or part of the day. The workshops are designed to build upon skills – so if you are intersted in learning it is suggested you plan to come for the whole day. I know that TechShop has lined up some of the craftiest folks around Pittsburgh to help with this event. I was talking with a felllow Pittsburgh blogger and fashion stylist about the laser cutting demo (I’ve heard rumors that they might try to laser cut a leather jacket) and was informed that laser cutting is quite the trend right now. The event will begin with Day One, June 28th, for a Call for Clothes (people can drop off their unwanted items to our swap room). We will accept your donations, whether you are planning to attend day two or not! Then return on Day Two, June 29th, for a Swap Meet and UpCycling Sessions. Tickets for Day Two can be purchased through EventBrite. Tickets include training, instruction, and networking with local artists, seamstresses, and professional instructors as well as light refreshments and all equipment and materials. 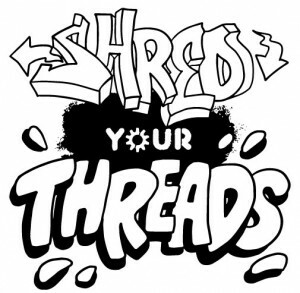 More details about the Shred Your Threads event and registration information is available here. If you can’t make it to the clothing swap this weekend, there are lots of other ways you can trade your old clothes for new ones. In Pittsburgh, these stores will offer you cash or store credit for your clothes. You bring in your unwanted clothes and they will offer you a dollar amount for the items they want to buy. I believe that both offer 30% of the item value in cash or 45% of the item value in credit to buy something else from the shop. So if you bring in a shirt that they would sell for $10 – you would get $3 in cash or $4.50 in store credit. Both stores offer a range of new, used, vintage and designer clothing for men and women. They won’t take everything and often only buy for the current and upcoming season – so don’t go in expecting to walk out with empty bags. If you have more clothes to get rid of, especially items that are out of season, you might try one of these online resale websites. 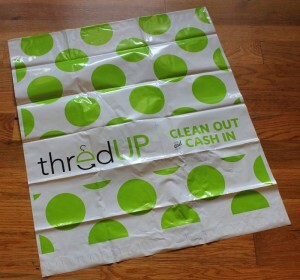 I have used both Twice and ThredUp and had a great experience. Both Twice and ThreadUp will send you a free bag, that comes with a prepaid postage label. Fill up the bag and send it back. You will receive an email with an offer for you clothing. Unwanted items will be donated to Goodwill or you can pay a little extra to have the items shipped back to you. Twice will give you an additional 25% bonus if you select store credit as your payout. (From now until 7/31/2014 – Twice is offering a 30% bonus for store credit payouts). Do you have any tips or suggestions for closet clean outs? Are there consignment shops that you would recommend for selling clothes in Pittsburgh? Share your experience in the comments below.